Perhaps it’s the dry, blistering heat most of the country has suffered through this summer. Or, maybe it’s just the mid-July “blahs.” But, I’ve been dreaming of Fall lately. My thoughts have been turning to crisp blue skies, chilly nights with campfires and open windows, orange and red colored leaves, and of course, fall fashion. I’m dreaming of skinny jeans, warm woolen sweaters, hand-knit beanies, and lovely fall bags! I wanted to highlight some bags I think are perfect for early fall. 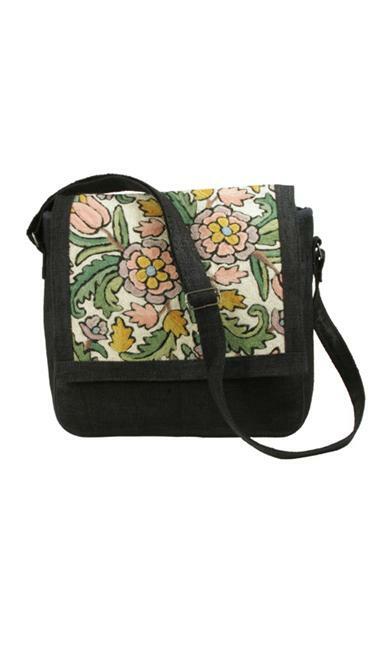 I use our Hemp and Kasmir Wool Messenger bag to carry my work stuff in. It’s perfect for a laptop and a few books. The best part is that because it’s hand made, each one is different! The wool embroidery is incredibly detailed, and you can just tell our artisans put a lot of time into these bags, which is why our Wool and Kashmir messenger is one of my top picks for early fall. Our brown and orange cotton bag is perfect for early fall because it’s lightweight, and the colors perfectly match Mother Nature’s. The leaves are beginning to turn these exact shades! 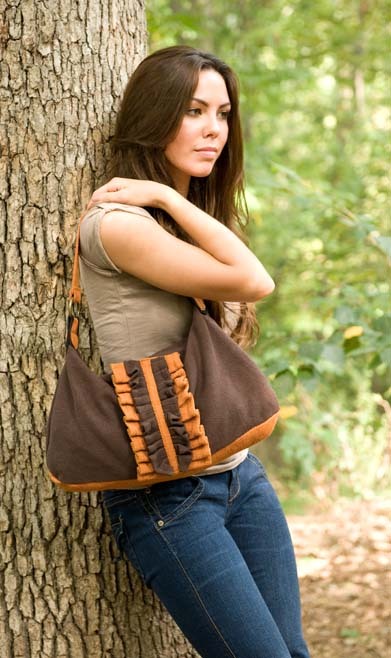 Our Cotton Modern Eco Handbag is one of my favorites because it’s so stylish. It’s lightweight, and has that slouchy look that never goes out of style. This bag, too, features some nice early Fall colors. I tell you what…usually I’m the type of girl who LOVES summer. I love the warm days and nights, I love sitting out on my front porch and going barefoot, and I love all the thunderstorms. However, this year it’s been really dry and hothothot; I’m ready for the crisp, cool days of fall! Do any of you have fall on the brain? What are you looking for in a bag for early fall?